Crank Trigger Ultra Series Kit. 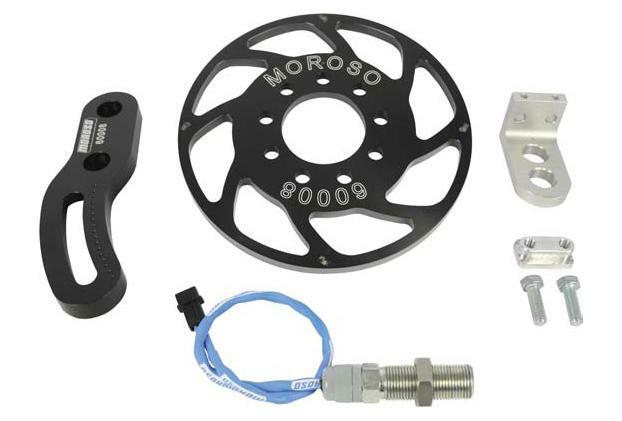 Moroso has designed the trigger wheel mounting holes to “phase-in” the wheel, to allow a more centered sensor location. No more having the sensor run out of adjustment before the engine is even started! Crank Trigger Ultra Series Adjuster Kit.